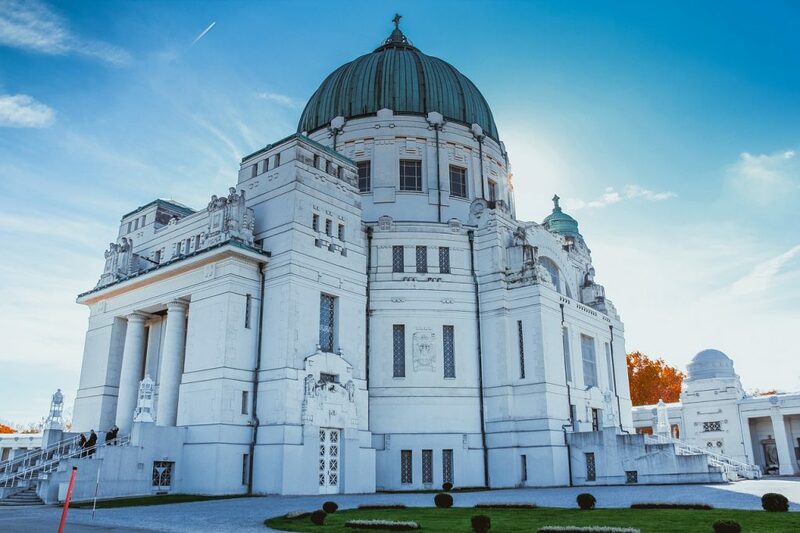 Think of Austria’s capital and you often think of Imperial splendor and old-world glamour. Yes, Vienna has these things in abundance, but it also has a contemporary side of hipster cafes, cutting-edge art, and great food. As well as the grand jewels of Hapsburg palaces and Kaffeehäuser, Vienna has so many hidden gems, from raves in old underground stations to pop-up food markets. 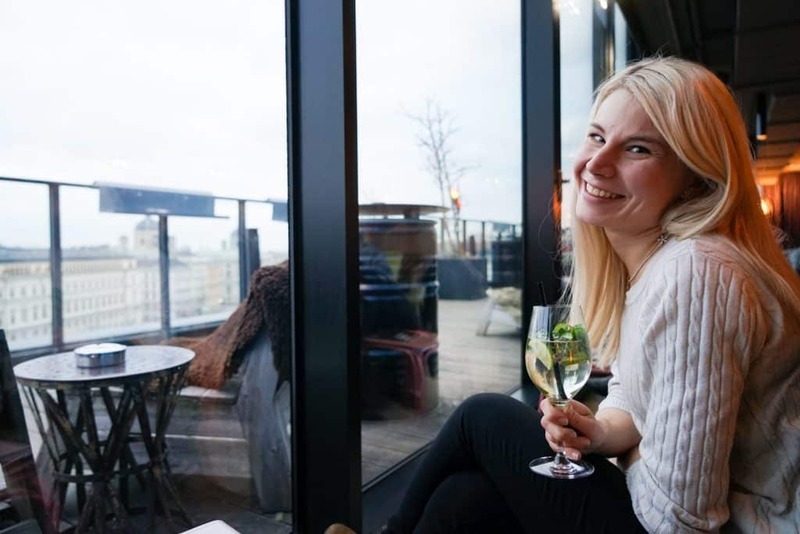 With so much to choose from, it can be difficult to know where to start, and the last thing you want to do is miss out on all Vienna has to offer. So here are some of our suggestions on what to do in Vienna in 3 days. I don’t know about you, but I always like to start with all the ‘big’ attractions when I’m on a city break. That way I can see my pick of the museums and art galleries first and know I have done it – there’s nothing worse than losing yourself in a city only to keep worrying that you haven’t gone to the Art History Museum yet. 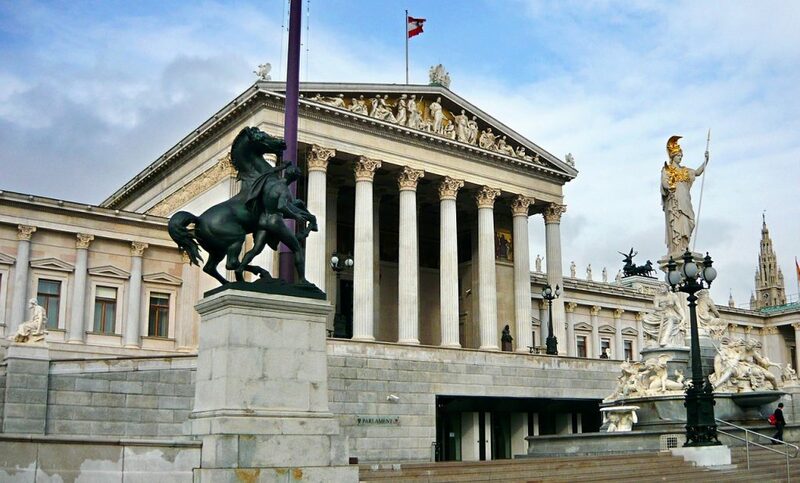 Vienna’s MuseumsQuartier has all of the must-see museum’s usefully located in one place – the Imperial Hapsburgian stables. Whether you like historic or modern art, you’ll find something fascinating in the Art History Museum or the Museum of Modern Art. The Natural History Museum is full of treasures and the Leopold Museum has the world’s biggest Schiele collection. After all that cultural input at the MuseumsQuartier, you’ll want to do something relaxing, and the snazzy Krapfenwald Pool is just that. If you’re in Vienna in summer, you’ve got to head down here to sunbathe and enjoy incredible views of the city. With 1930s glamour, these pools have such a trendy vibe that you can hardly believe it’s only €4 entry! Bring your own picnic for lunch then while away the afternoon here – it’s a good place to see and be seen. If it’s winter then switch this option for Austria’s largest hot pools at Oberlaa Therme Wien, complete with grottos and whirlpools. We all like to push the boat out when we’re on a trip away, and experience everything from underground clubs to upmarket dining experiences. 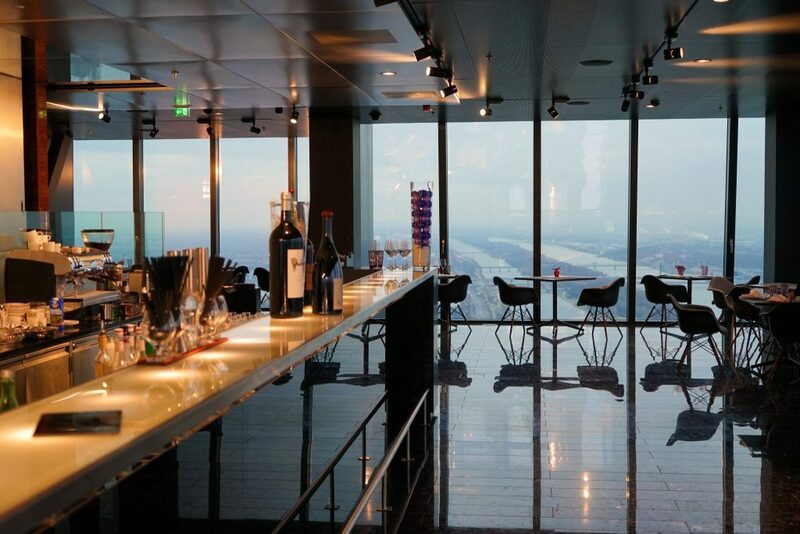 For your first meal out in Vienna, 57 Lounge and Restaurant offers – quite literally – the pinnacle of dining out in Vienna, as it’s located on the top two stories of the tallest building in the city, the Melia Vienna. The Melia Hotel Vienna building is 220 meters tall and offers a spectacular view of Austria’s capital. If the day is clear you can see for miles, but even on an overcast winter’s day, it has an atmosphere of mystery and melancholy beauty. Enjoy the glamorous black marble décor and the outdoor terrace (in summer) while sipping cocktails and eating some of the finest dishes Vienna has. If you have time, head out on the U-Bahn to the glorious Schönbrunn Palace (just book a ticket in advance), famous for many things including its role as a James Bond film location. It does take a few hours, however, and it’s so vast you can’t really ‘rush’ it! Finish off your busy first day with a night at the spectacular Vienna State Opera. 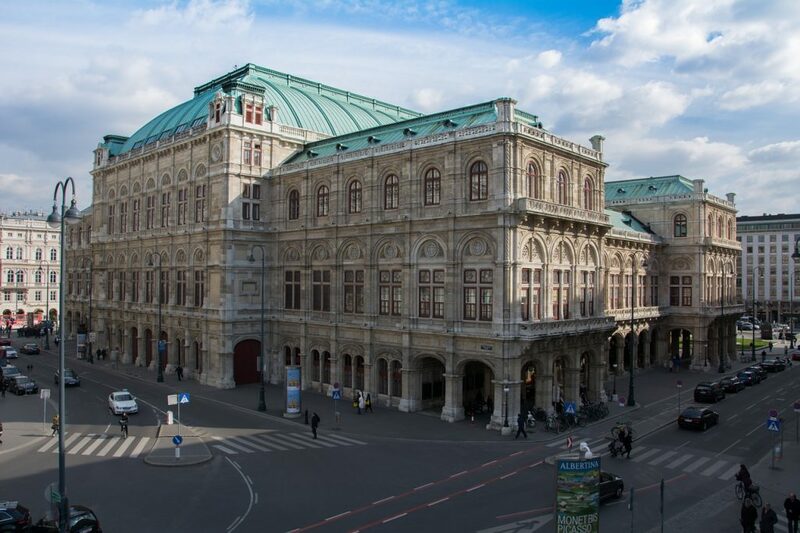 Opera is one of the things that makes Vienna a capital of culture, and for good reason. The singing is breathtaking and the sets are stunning. Make sure you get into your glad rags. If your feet can take it, standing tickets can be as little as €3. Alternatively, be organized and you can get seated tickets surprisingly cheaply when you book in advance. Have a laid-back second day in Vienna, conserving your energy to drink and dance the night away. Head to the historic old town and wonder at the intricate classical architecture; you might have to dodge the crowds but it’s worth it to see what is now a UNESCO World Heritage Site. Then potter around the Naschmarkt, feasting with your eyes on the colorful market stalls with their array of fruit, vegetables, cheeses and other delicacies. Grab some lunch here then head to a café nearby to relax. Once you’re ready to head out, begin the evening at 1500 Foodmakers. If you’re on a budget, you shouldn’t have to compromise on good food on holiday and Vienna has plenty to offer for a special meal. One of these places is 1500 Foodmakers, one of the frontrunners of Vienna’s new hip scene and part of the even cooler 25Hours Vienna hotel. Don’t be put off by the ‘hip’ reputation, though; this is a welcoming and fun place where the staff are chilled and just want you to have a good time. Choose from a range of contemporary Italian dishes from €10 and pair with unusual cocktails from a mere €6. A definite go-to in Vienna, either for an intimate meal or a start to a night out. Now you’ve eaten, it’s time to paint the town red. When people talk about going dancing in Austria, you might think more Viennese waltz than dusk-til-dawn clubbing, but Vienna actually puts on a great night out. Unlike in Berlin, there are minimal long queues and strict entry policies; similarly to Berlin, things normally don’t really get going until about 2 am, so we hope you followed our advice to have a chilled day! There’s something really special about dancing in repurposed spaces – Vienna’s techno clubs include an abandoned subway station, Club U, or you can search for hidden-away Donau. Alternatively, head to Schikaneder for an alternative selection of bars, flea markets, and cinema. If cocktails are more your thing (you know they’re our thing! ), try Le Troquet or Loos American bar. No trip to Vienna would be complete without a leisurely afternoon at one of the classic Viennese Kaffeehäuser, now listed by UNESCO as ‘Intangible Cultural Heritage’. Pleasant conversation and tinkling piano provide a soundtrack as you can enjoy Apfel Strudel and a Viennese blend and watch the world go by. It’s perfect if you’re still recovering from that big night out! Try the Central Café or Café Sperl. 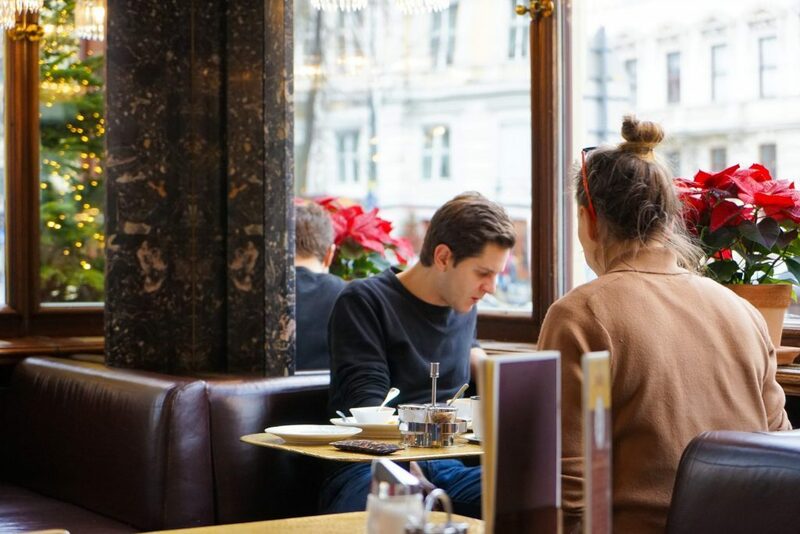 Alternatively, if you think your hangover can cope with a Sacher Torte – iced-chocolate cake with apricot jam, a Viennese classic – then head to the Sacher Café for opulence and chocolate galore. 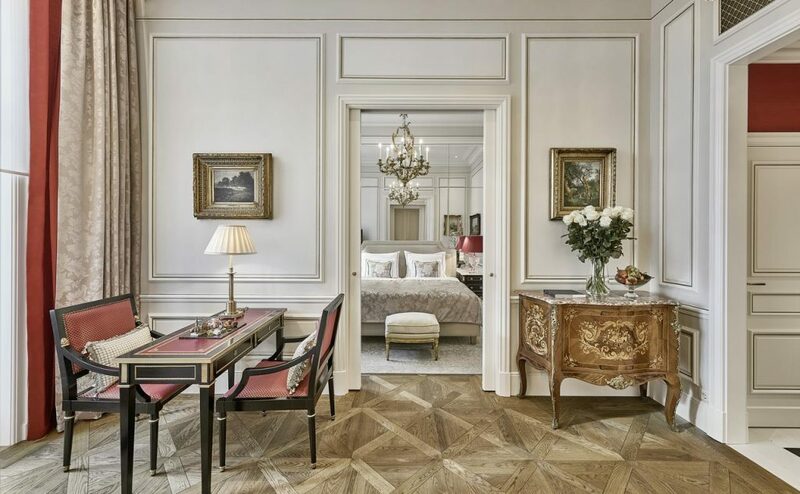 Or if you really can afford to splash you just simply stay at the opulent Sacher Hotel. Our final suggestion to round off your 3 days in Vienna, if you’re there in winter, is to go ice skating in front of the Town Hall (Wiener Rathaus), a stunning piece of traditional neo-gothic architecture. The ornate spires tower above you like a fairytale castle as you glide (or stumble, for some of us!) on the skating rink, or venture along the ice path in the surrounding forest. When it gets a bit chilly, take a break and enjoy some warming Glühwein. 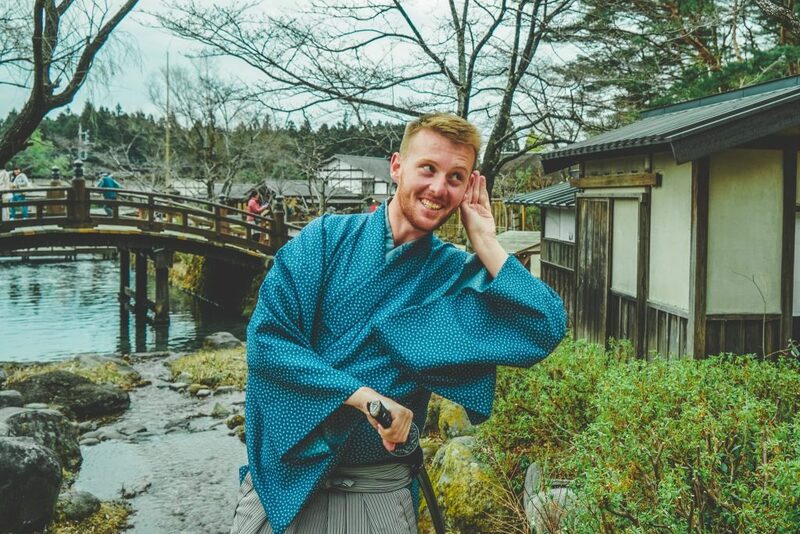 If you’re here in summer, you won’t miss out; there are guided tours around the inside of the building or open-air cinema events or parties throughout the warmer season. 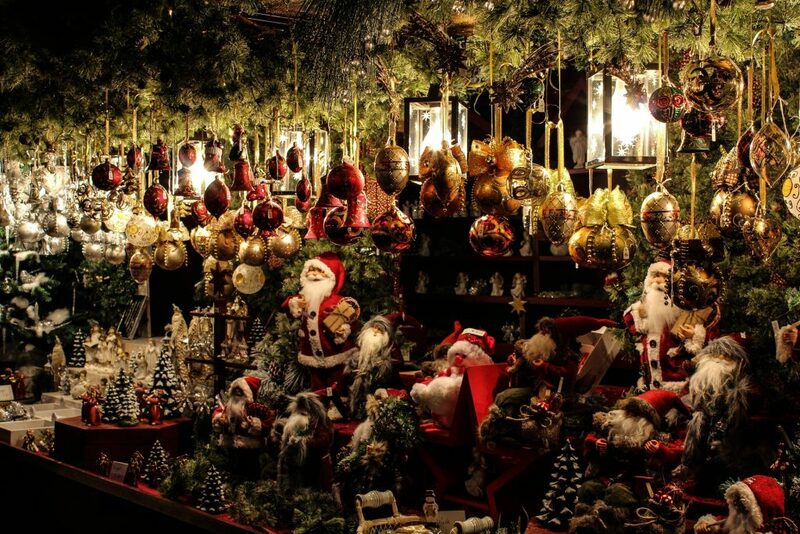 Of course, the fabulous Mariahilfer Straße shopping street is worth a visit any time of year. It’s only a few minutes away… but you could easily lose a day here as well! Hopefully, this gives you some ideas for your next trip to Vienna, or has inspired you to book a trip – and remember, this is just the beginning of what Vienna has to offer!